The Zoom 1000 Video System is an extremely versatile, yet low-cost, modular video system. It allows the user to display images onto a monitor for greater emphasis and detail, while allowing others to view the images, and has a very flexible working distance capability. 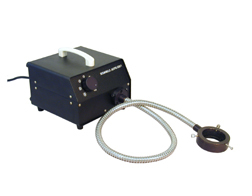 This high-resolution system accommodates a tremendous variety of applications and requirements. 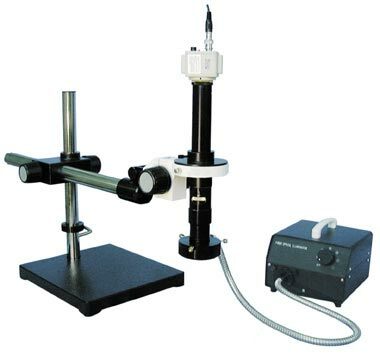 It can be utilized in education, industry, R&D, science, and a wide variety of other applications that require clear and precise magnification. 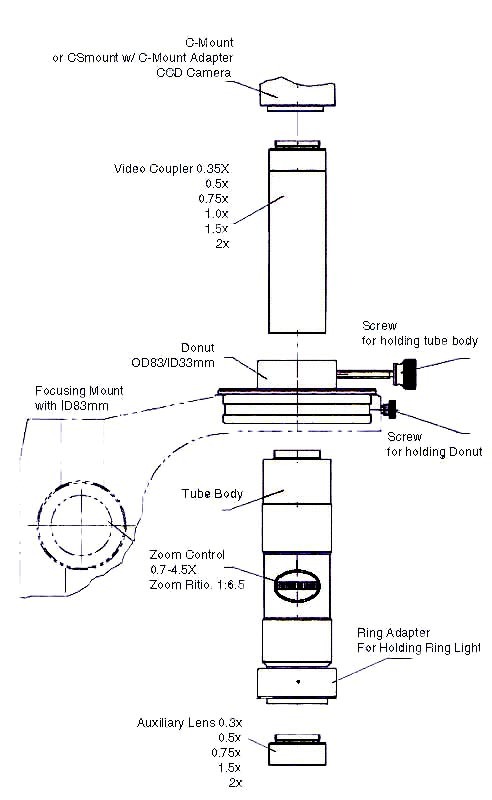 The optical portion of the system consists of the zoom body, photo eyepiece and optional auxiliary lens. By turning the zoom ring on the body, you can zoom out to a wide field-of-view, or zoom in to observe fine detail. 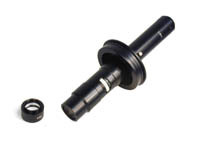 The actual magnification range is determined by the combination of the photo eyepiece and auxiliary lens. 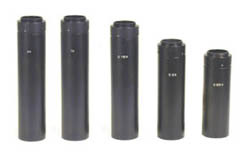 Click here to see the magnification ranges available. The Zoom 1000 body is the latest design in high quality optical equipment. It may be used with a variety of stands. It is designed as a modular system with all metal construction. A number of auxiliary lenses and photo eyepieces may also be used for maximum flexibility. The Zoom 1000 combines user friendliness with versatility.